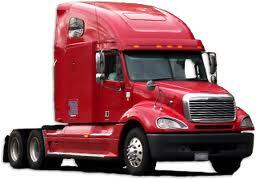 "Heavy Duty Trucks - Medium Duty Trucks - Light Duty Trucks - Trailer"
Odometer: 289,438 mi. Prostar + with less than 300,000 miles and an extremely well taken care of interior! Come take a look for yourself! EASY FINANCE APPROVAL PROCESS. WE WORK WITH ALL CREDITS!!! Disclaimer: All vehicles subject to prior sale. We reserve the right to make changes without notice, and are not responsible for errors or omissions. All prices exclude government fees and taxes, any finance charges, any dealer document preparation charge, and any emissions test charge. © Copyright TruckSales.com, LLC All Rights Reserved.